FIFA president Gianni Infantino has kept his own committees in the dark about the financial detail around plans to add two major competitions to an already saturated football calendar. The Swiss-Italian has announced his proposals for an expanded 24-team World Club Cup and a global Nations League — building on the European model which starts in the autumn. He has claimed the two initiatives will bring in $25billion from China, Saudi Arabia, Japan and the USA. 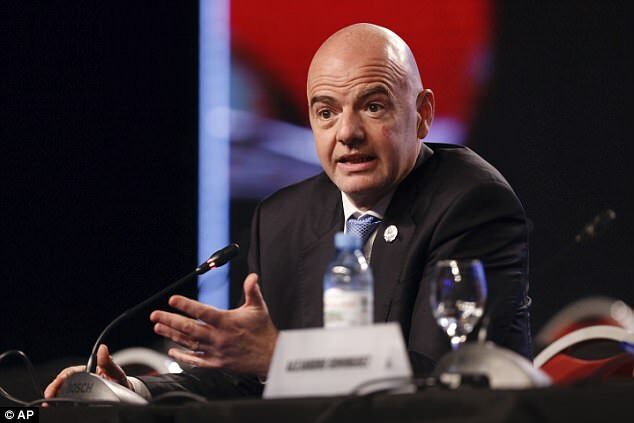 Infantino has also promised to look at a request from South America that the 2022 World Cup in Qatar increases from 32 to 48 teams. The FIFA stakeholders committee’s specific role is to oversee the type of structural changes that Infantino wants to introduce. But it’s understood that this supposedly important committee, whose representatives include Premier League executive chairman Richard Scudamore and Arsenal CEO Ivan Gazidis know nothing about the $25bn financial model. Premier League clubs voted on Friday to postpone a verdict on the use of Video Assistant Referees in favour of extensive testing next season — also asking for more use in the FA and Carabao Cups. 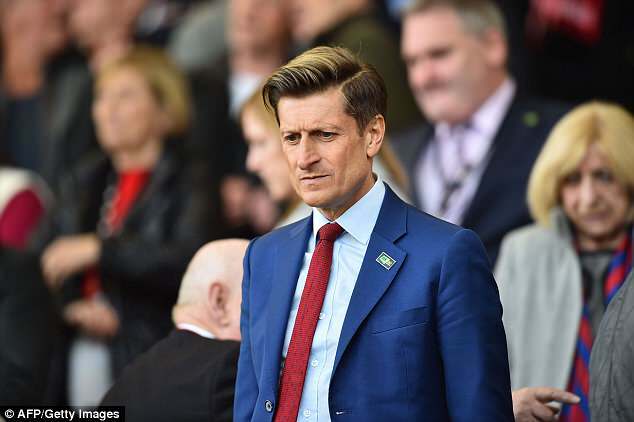 Views ranged from Southampton, West Ham and Manchester City wanting VAR introduced next season to Crystal Palace chairman Steve Parish being wholly opposed. Tom Bosworth, England’s Commonwealth Games 20km silver medalist race walker, reacted in an over-the-top manner when BBC Scotland’s Tom English commented on social media that it was a ‘poor show’ after a ‘poor performance’ for Scotland’s 800m runner Lynsey Sharp to snub the media. Anyone attending an evening with Anthony Joshua at the O2 this week — two hours of entertaining chat with Sky Boxing’s Adam Smith — would be at a loss to explain just how the world heavyweight champion failed to get into the top three of the 2017 BBC Sports Personality of the Year when he has oodles more personality than the Beeb winner Mo Farah. 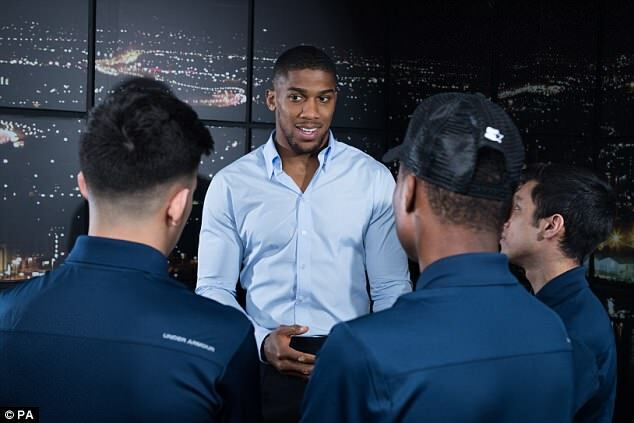 And Joshua certainly didn’t need his promoter Eddie Hearn joining the proceedings for the last 20 minutes when Joshua was far more interesting as he talked about why he wants to fight Deontay Wilder at Wembley in September. Secondary ticket operator StubHub cannily gained credence by sponsoring the Joshua evening in aid of anti-knife crime charity Steel Warriors — despite a reputation for being one of the biggest platforms in sport for selling tickets at inflated prices, often in breach of terms and conditions. The RFU will appoint a new head of community rugby operations, a fresh tier of command beneath Steve Grainger, who has set up a whole new structure for community rugby union. Such a move is also required on the elite side, where a role is needed between CEO Steve Brown and England head coach Eddie Jones, who suffered three successive defeats in the Six Nations. It has emerged this week’s raid on the Hammersmith offices of Rupert Murdoch’s 21st Century Fox, by European Commission inspectors investigating sports rights, centred on contracts for Dutch football’s top division. Sky Sports have the UK rights but claim not to be involved in the EC probe.